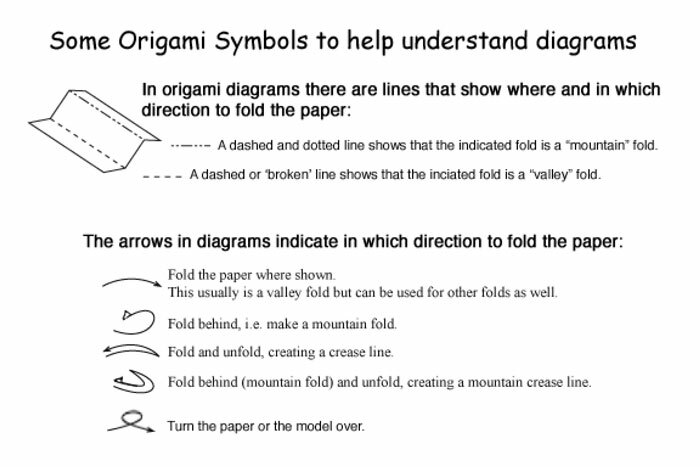 This month's model is an example of modular origami, which consists of folding several pieces in exactly the same way, then interlocking them together to form a more complex shape. Usually glue is not necessary to hold everything together, but often a few small touches will insure that your model will stay together. Note: Don't add glue until you've put all eight pieces together to be sure they fit together evenly. I don't recall who first showed me this model, so I don't know who the original designer is, but I diagrammed it from memory. The finished model needs eight squares of the same size paper. 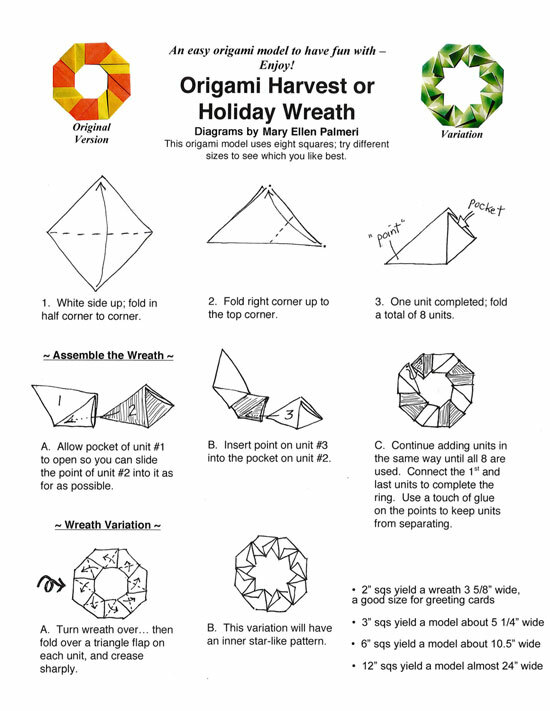 The most commonly found origami paper measures about 6" square, and if used for this wreath, your finished model will be almost 10.5" wide. If you cut 6" squares into 4 equal pieces of 3" each, the results will be a wreath about 5.25" wide. For results that can be used on a greeting card you'd need to use 2" squares, or smaller. Two-inch squares will give you a wreath a little larger than 3.5" wide. For a door decoration try using 12" squares to yield a model almost 24" wide. If you make one this large you can have fun adding decorative touches and personalize to taste.